Meet ONE PUNCH™, a knock-out pre-workout formula that puts the POW! in powerful workouts and stops villainous plateaus in their tracks. With ONE PUNCH™, hard-hitting energy and massive muscle pumps take your results up, up and away! Drink 20-30 minutes before training, and let the transformation begin. Meanwhile, the Muscle Pump Energy Matrix wouldn’t be complete without some Agmatine, a derivative of the amino acid L-arginine. Agmatine is known for its nitric oxide-boosting effects and ability to induce crazy muscle pumps. It also supports workout intensity, focus, and insulin regulation to help keep you building lean muscle. 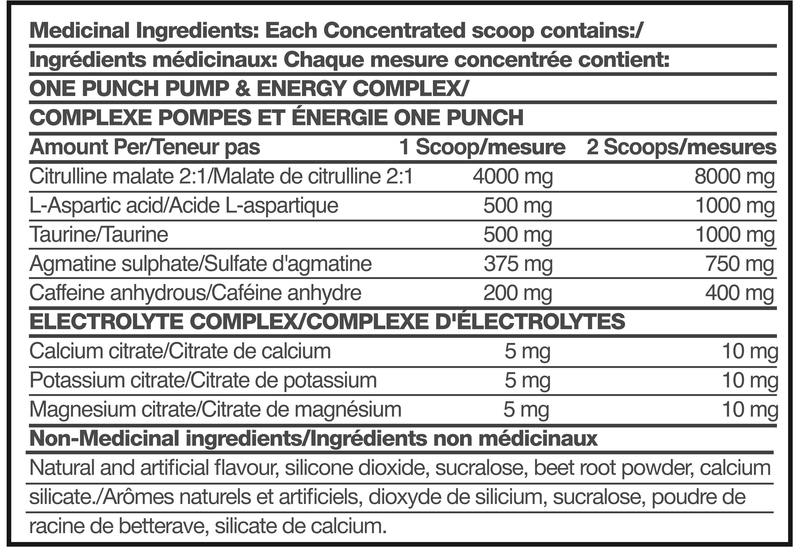 These and other key ingredients make the Muscle Pump Energy Matrix a force to be reckoned with. But we didn’t stop there. 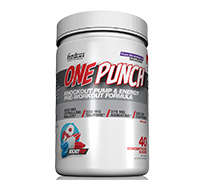 ONE PUNCH™ also contains an Electrolyte Complex to help generate more energy and fuel better muscle function. This is crucial since you lose important fluids and minerals when you sweat. The Electrolyte Complex helps restore what’s been lost so your muscles, tissues, and nerves get what they need to perform.